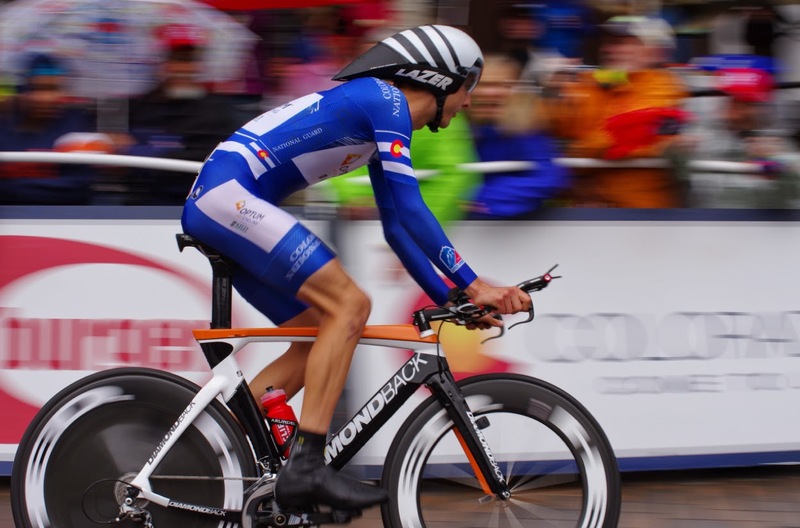 Let's talk speed. 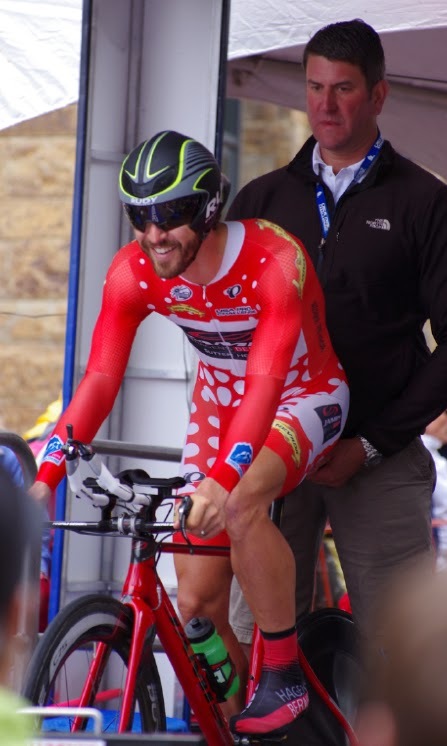 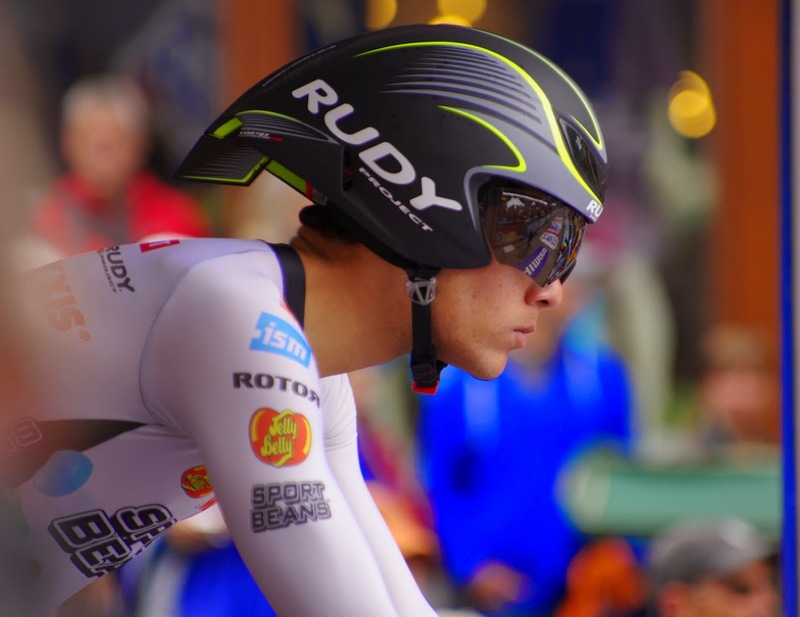 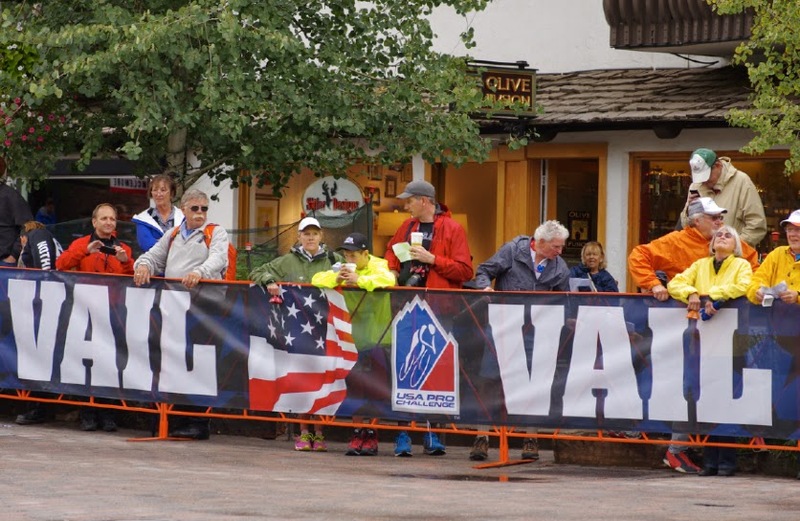 In the rain and wind of Stage 6 in Vail, Tejay van Gardern actually beat his best time last year (25:01) in this individual time trial at high altitude with a winning time of 24:26. 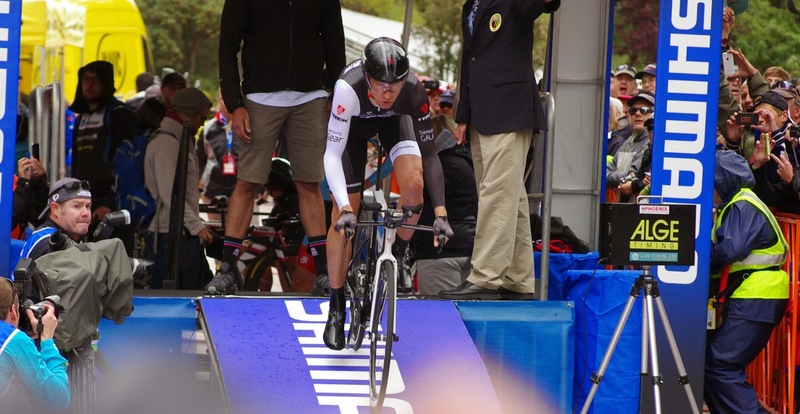 That's fast. 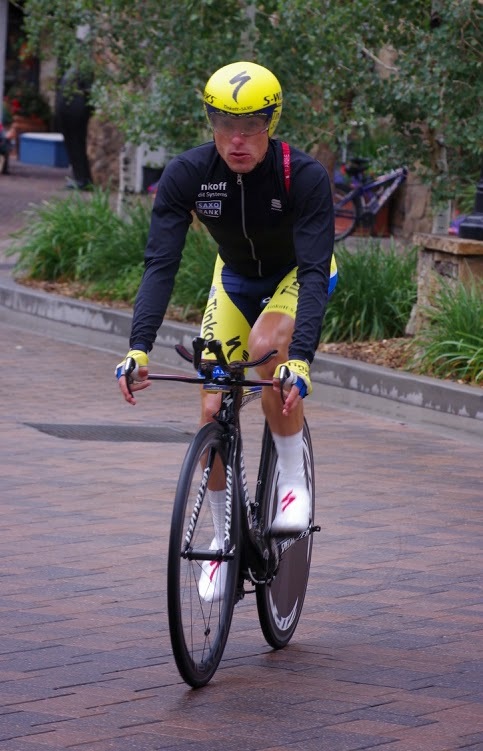 That's over two minutes faster than Andy Hampsten's old record from the Coors Classic. 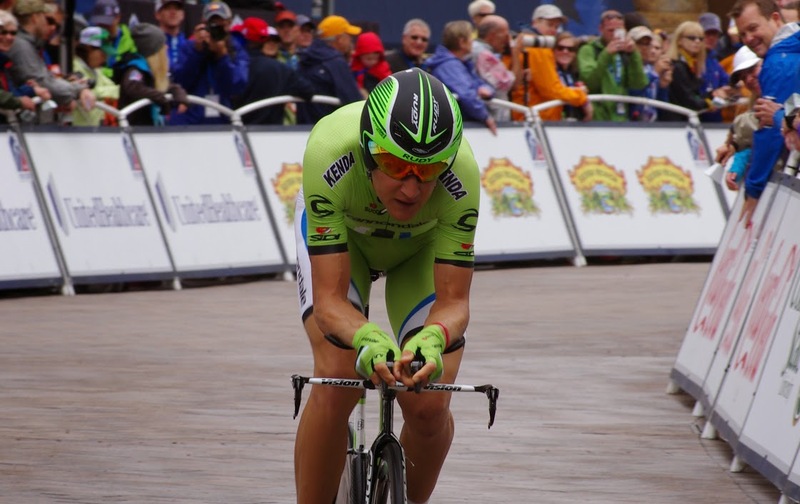 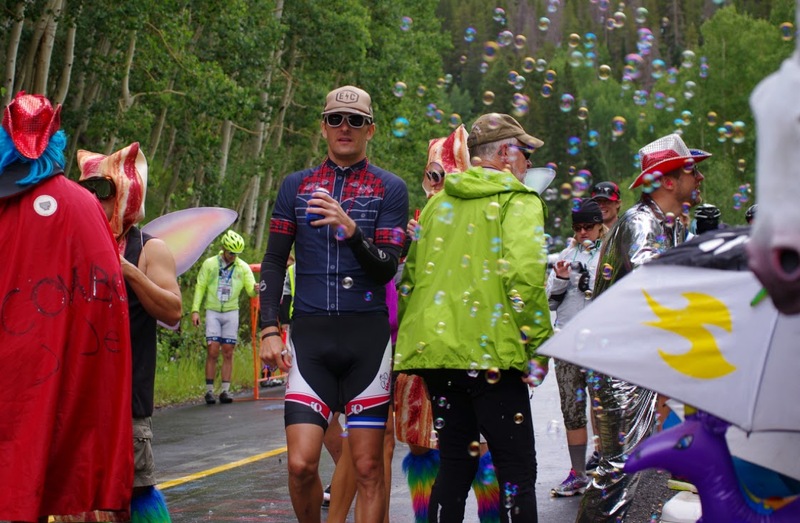 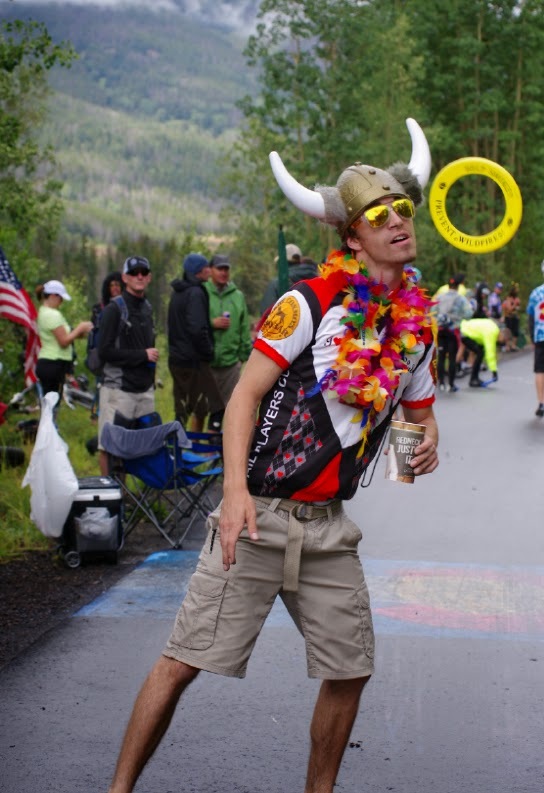 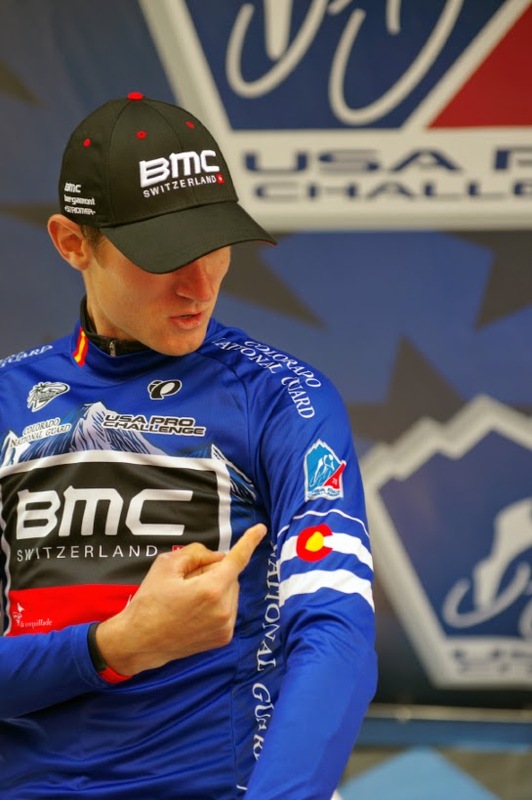 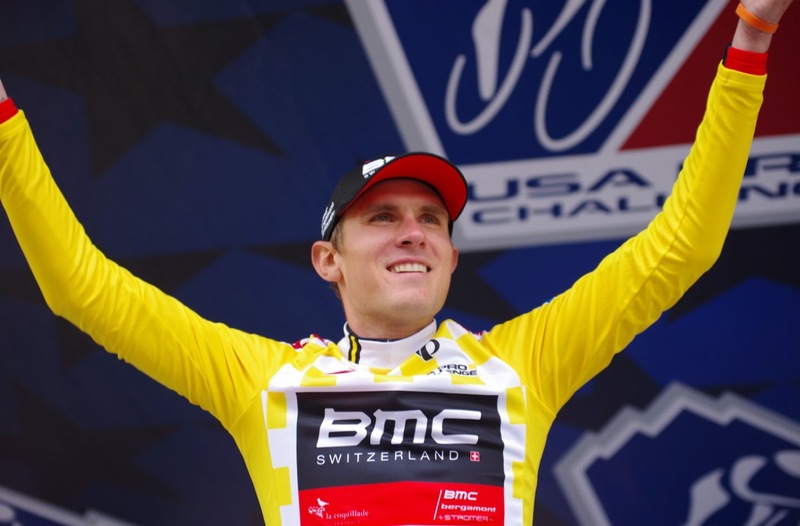 Tejay is now 1:31 ahead in the overall lead of the 2014 USA Pro Challenge. 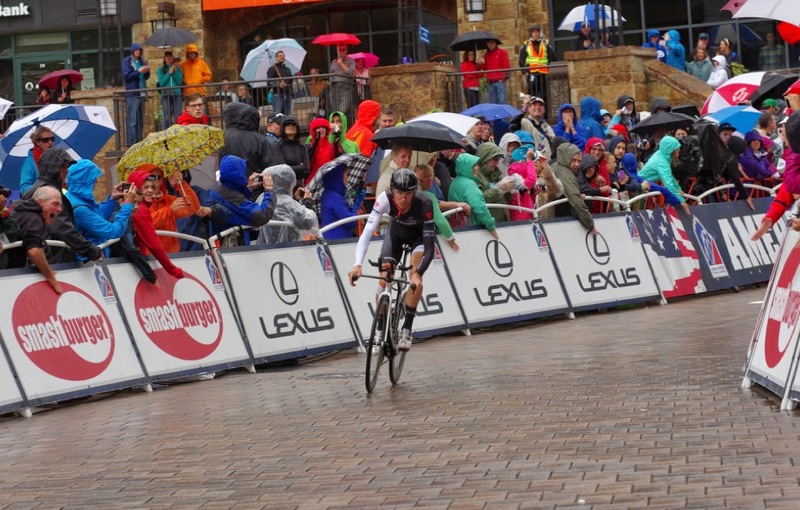 What a great way to spend a Saturday afternoon, even with the rain and cold. 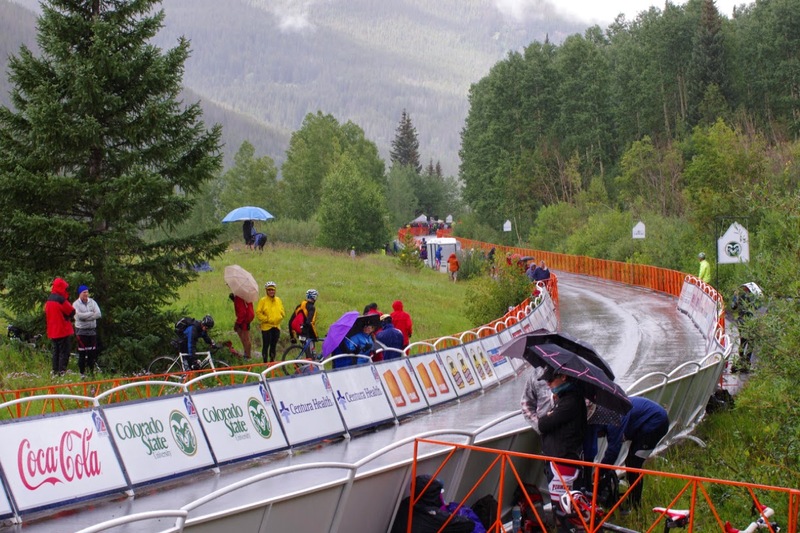 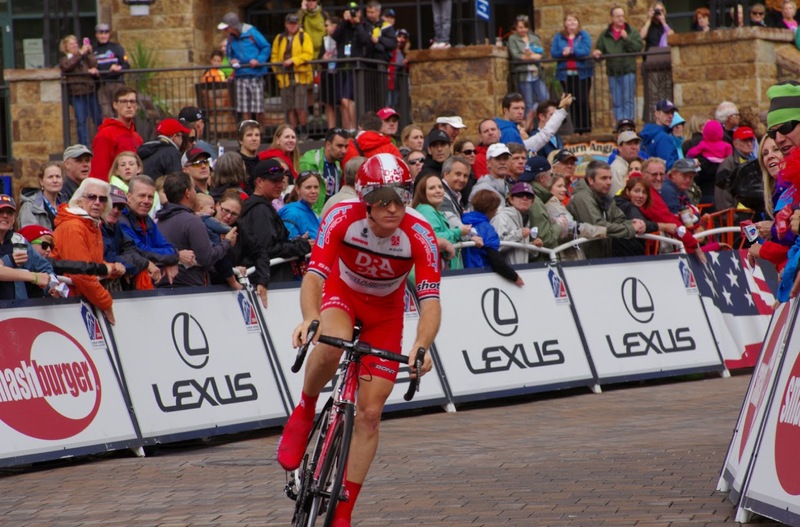 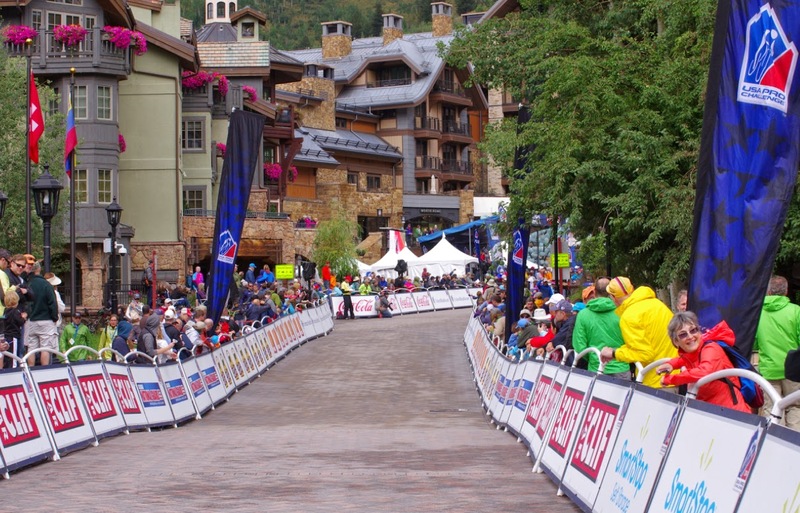 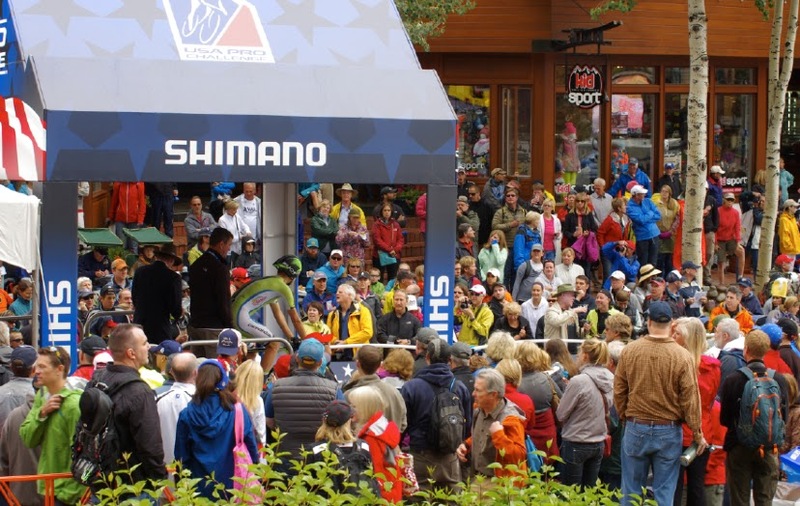 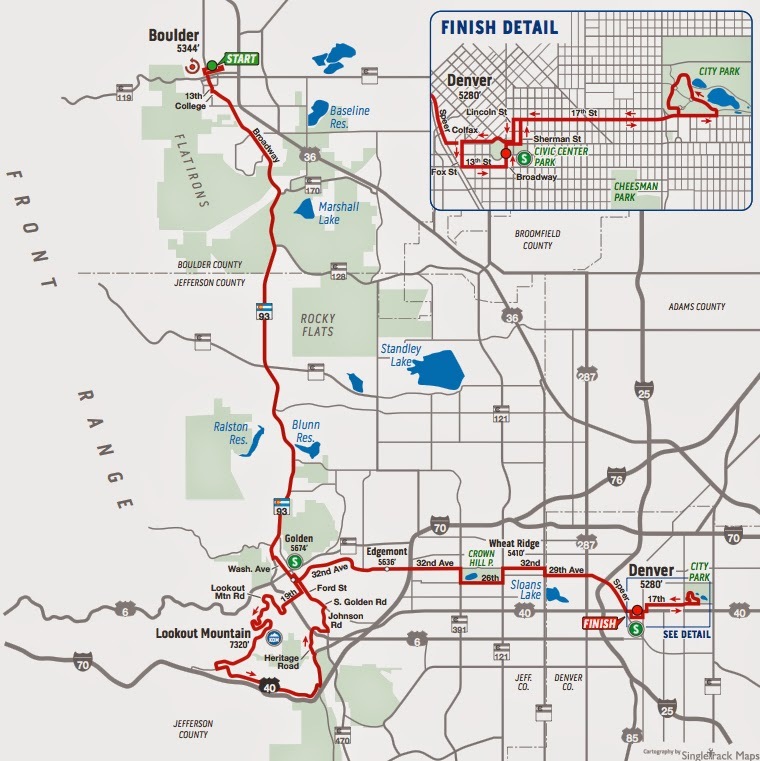 Vail, Colorado has hosted the same time trial course three times. 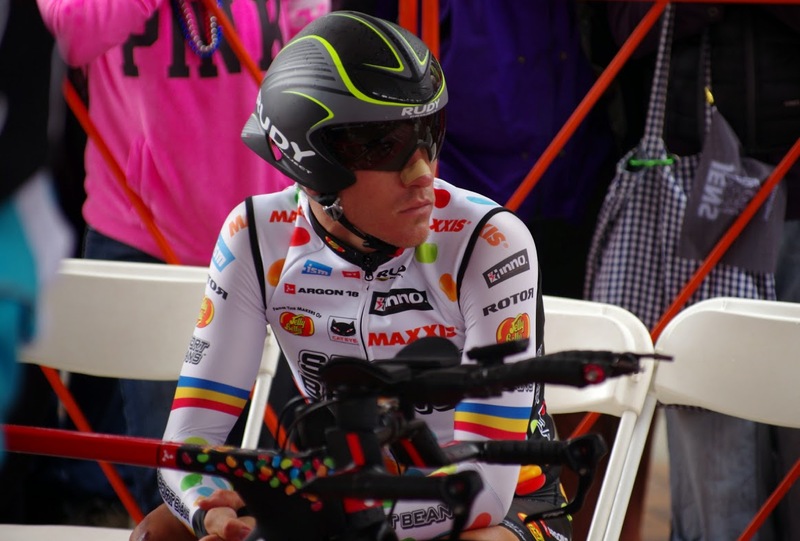 Tom Danielson shared the thoughts running through his mind near the end of the race, "I thought, all this pain could stop, I could just hit that banana guy right there, and then it would be over." 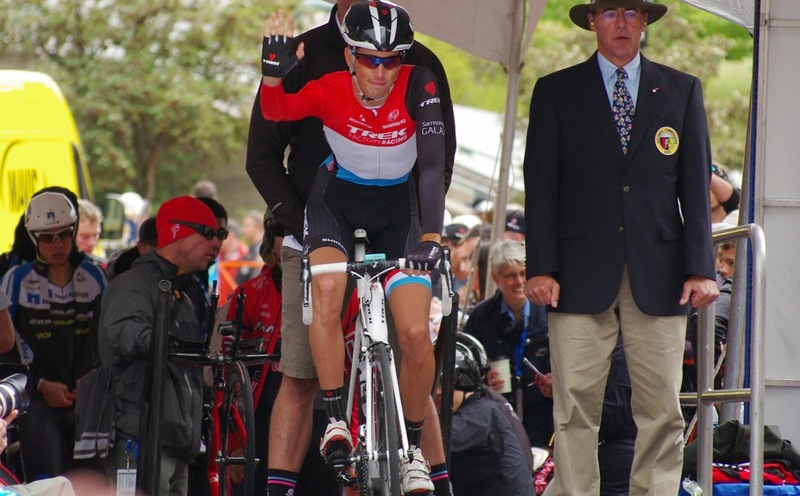 Tejay explained about power output, "If you do 500 watts, you're going to pay for it later." 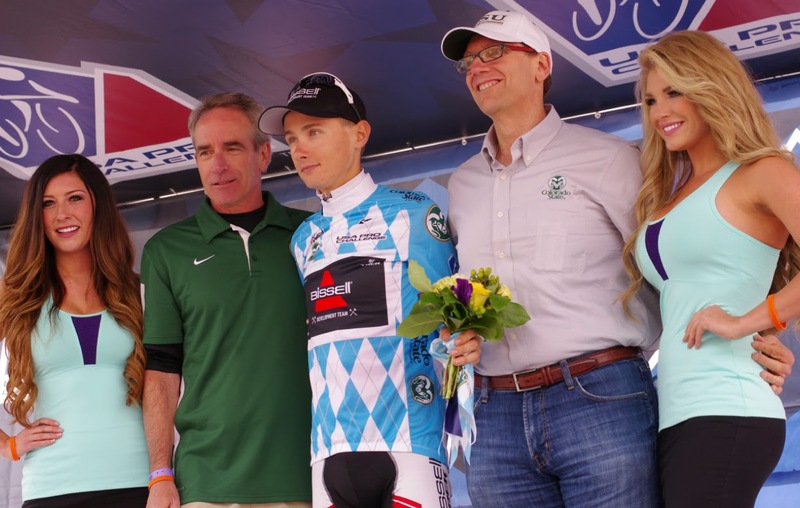 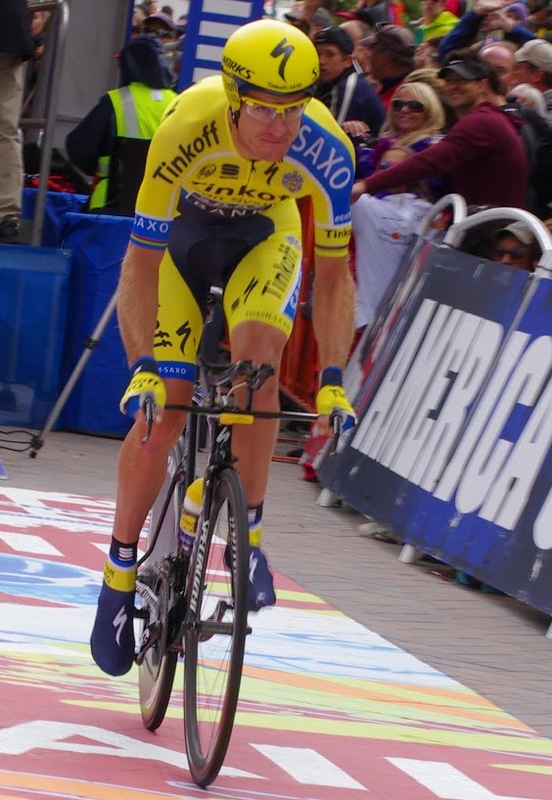 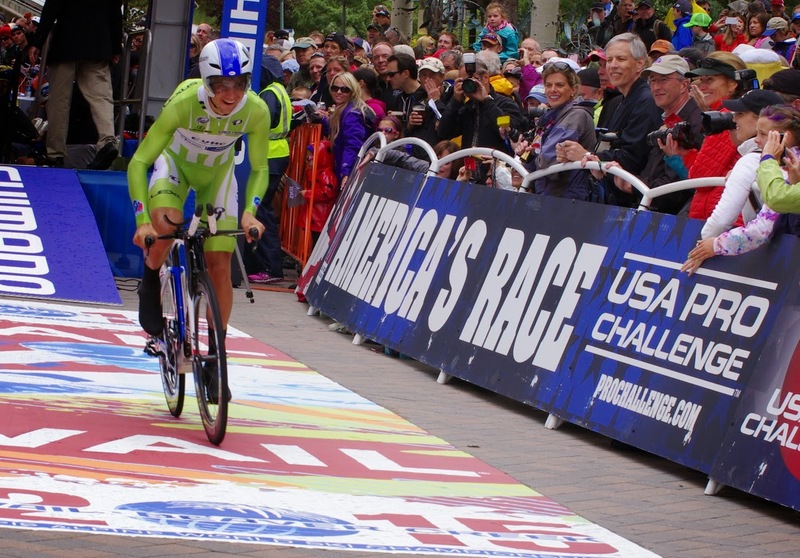 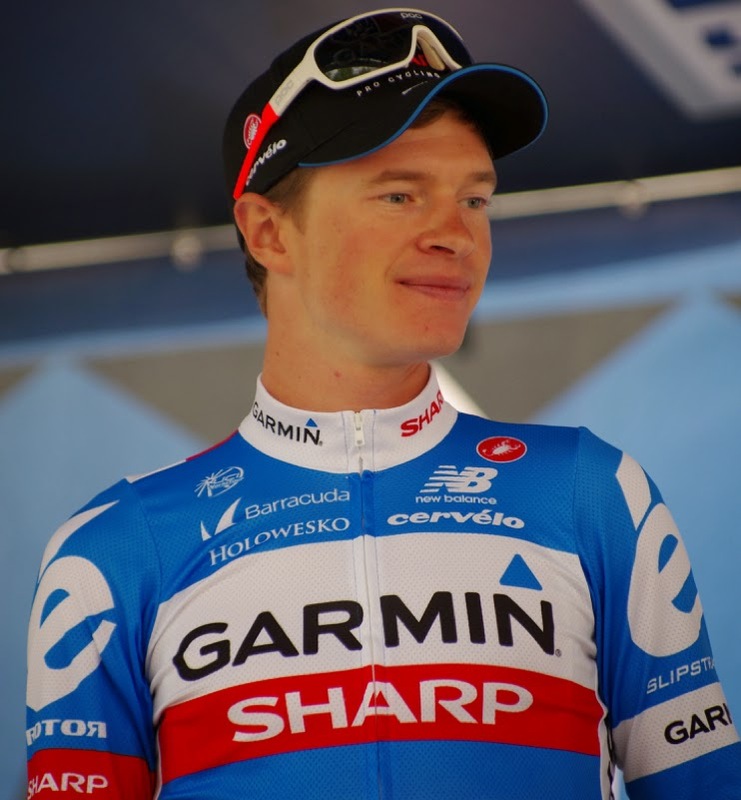 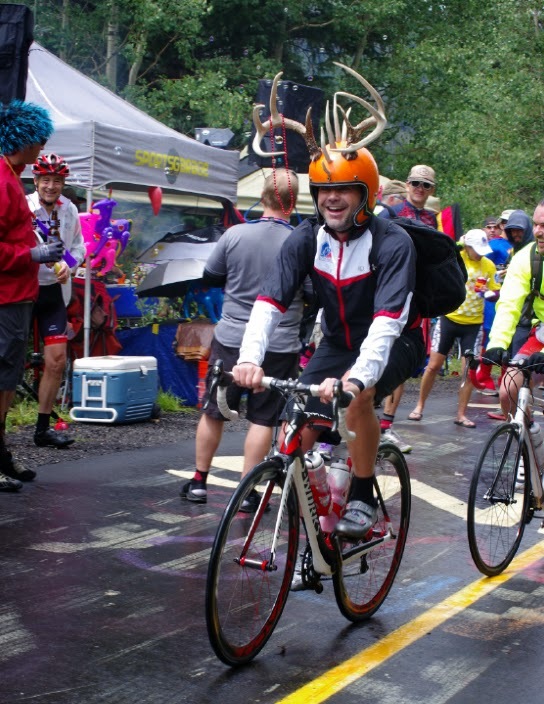 Tom Danielison interupted him, "Did you say 500 watts?" 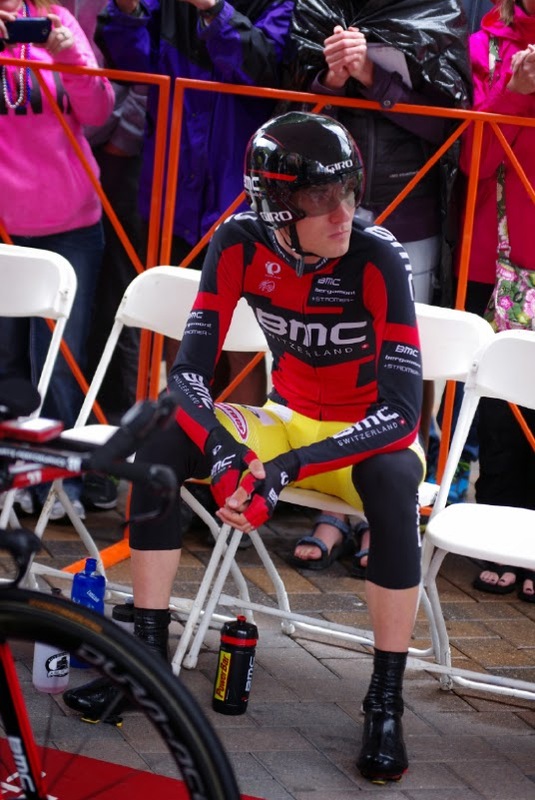 Tejay van Garderen answering a question from the media about whether he knew he was ahead during the time trial, "No I didn't get time splits... Only give me the times sprints if I'm up. " 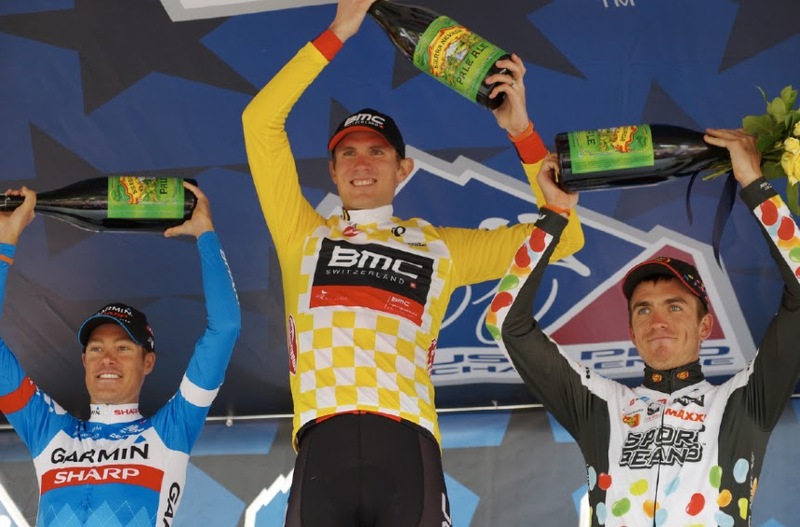 Tejay has this race wrapped up (if all goes well tomorrow). 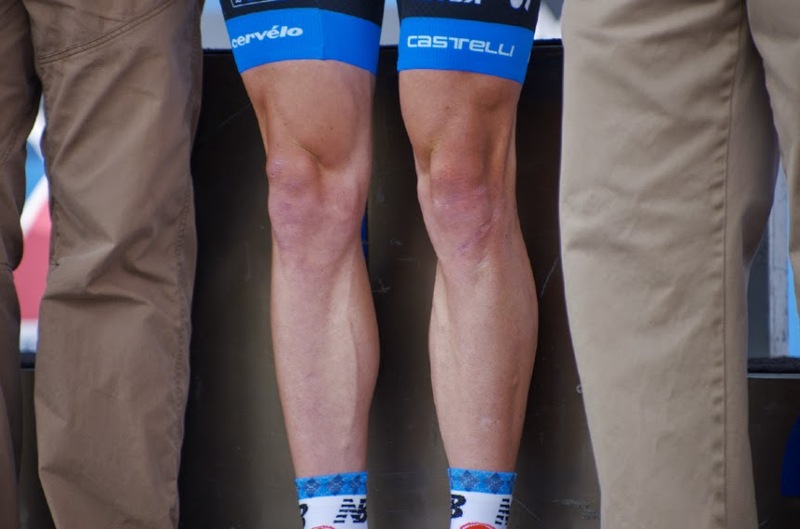 If there is ever a decision to be made between Khaki pants and cycling legs - I choose cycling legs. 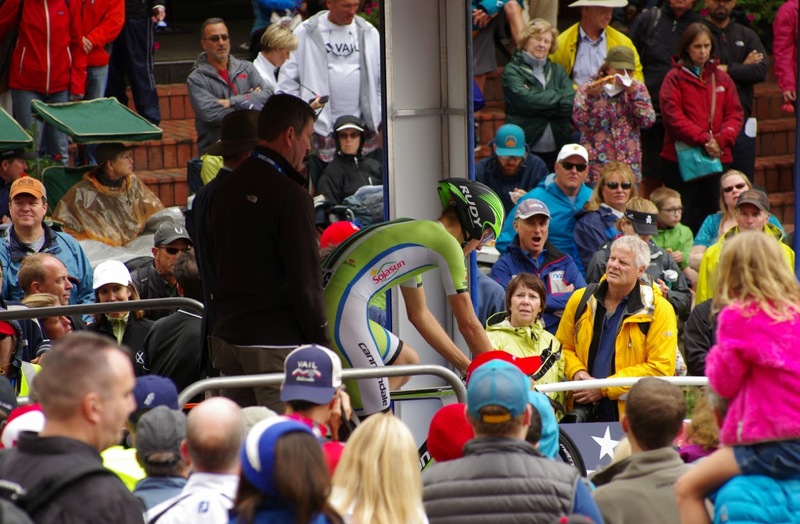 Best viewing: VIP tents, near Broadway, along 17th St, or in City Park.